My ups and downs have been a little more up and down of late (read for most of this year, it's still early Spring, right?). Not exactly disastrous, but I've not really managed to ever get things into any kind of groove for more than a week at a time. A bit wearying to say the least. Part of me knows the best way to improve things is to go back to basics and do some fasting basal tests and tweak my basal profiles based on actual information rather than the (un)educated guesswork I've been relying on for a while. Another part of me is having enormous difficulty summoning up any enthusiasm, since I know that the summer holidays are coming and I'm likely to stop going to the gym for a couple of months which will have a knock-on effect in itself. So I'm spending my time grumbling and hurrumphing instead (my family are so lucky!). On the plus side it does give me a chance to jot down this analogy that I've been meaning to for some time. It's something that usually strikes me when my BG levels are a bit errant, and insulin and food are just not playing nicely. When it comes to trying to balance the effects of food and insulin on blood glucose levels (well and everything else.. but specifically food and insulin), one thing that makes it very tricky is the difference in the speed of action of carbohydrate and insulin. It's not enough to accurately match the dose of insulin to the amount of carbohydrate you are eating - you have to try to ensure that the two act more or less together to reduce BG wobbliness (technical term). Almost all carbohydrate is very much in the speedboat class. Fans of glycaemic index tables (GI) might agonise over whether something is high GI, medium GI or low GI, but in my experience the differences equate to something being 'almost instantaneous', 'really very fast indeed' or only 'very fast'. Not a great deal of protection against the ravages of a post-meal spike, either physiologically, or that emotional kick in the guts of seeing your levels rise from a decent pre-meal number well into double figures an hour or so later. From the very first mouthful those big outboards start roaring and the carbs go zipping and zooming about, gleefully spraying glucose in their wake. Insulin, on the other hand - even the fancy schmancy 'rapid acting' analogues can seem painfully slow to get going. More like one of those behemothic oil tankers or container ships. With a great groaning and clanking, the thrum of the plunger on an insulin pen or pump delivers the dose and then... Nothing. Watch and wait. Is it an illusion? Is it actually moving yet? Nope. Still can't see anything happening. Vooooom! Swish! The carbs go tearing past again. Running rings around the slumbering giant. This is particularly the case for me when I am waiting for a correction dose to kick in. I've had to stop myself from checking post-correction BGs before an hour has elapsed. Any less than that and the chances are my BG will be almost unchanged. An hour! Thanks Novo Turgid - not exactly breakneck. 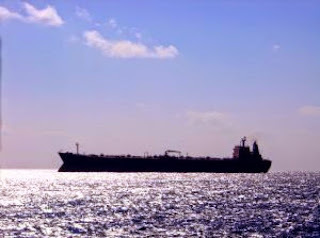 Of course... one of the things about an oil tanker is that once it is moving, there's not a lot you can do about it. All those stories about them needing however many hundred nautical miles to slow down or turn a corner. And so it can feel with rapid insulins. Nothing... nothing... nothing... Ah good, movement! Good... All good, back into range. Right that's enough now thanks... STOOOOOOOOOP! But on and on, the dose lumbers forward - an unstoppable force. All-ahead full. 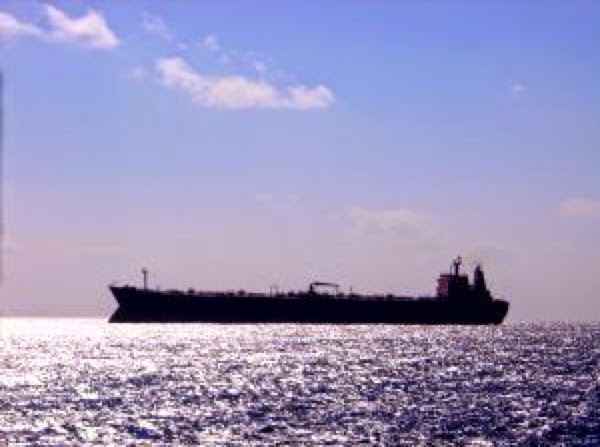 The tanker has now run straight over those speedboats crushing them to matchwood and we could very well be steering directly toward Port Hypo. Corrections can be a tricky course to navigate. Artoo tries to help by offering a suggestion of 'Active insulin' - how much dose is still working away, but there are *many* variables to factor into that equation. Sadly I find Artoo's attempts to be the vaguest of indications at best, and often wildly inappropriate to the particular circumstances of the moment. Patience is the skill I have to master. 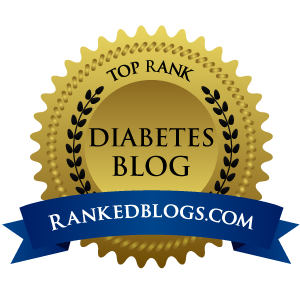 I am always trying to remind myself that while the spike in my blood glucose levels may have happened in only 45 minutes or so, the insulin correction will only have stopped after something like 4 or 5 hours. If I get impatient and overcorrect in the meantime I am likely to cause myself another problem (and more wobbles) by overdoing it. wonderfully funny as always! and gloriously to the point! 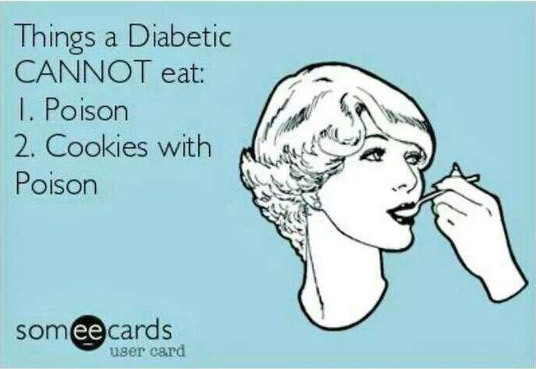 Is this one going into DiabetesUK magazine then? Hehe, thanks! Though to be honest if I had actually had my clinic appointment recently (due early June) I am pretty sure that my results would be quite a long way above that the way things have been going recently! But you are absolutely right - it's always worth trying again. 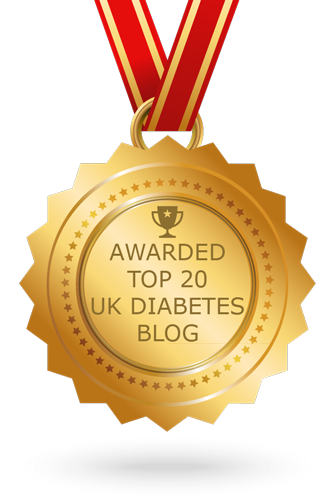 DUK has a blog site here http://blogs.diabetes.org.uk/ and I've been invited to sumbit the occasional post before (for Diabetes Week for example). More recently I was chuffed to be invited to contribute a post each month and this is one of those. I couldn't agree more Mike! I've managed to drop my basal insulin down quite a lot with 30 minutes on the bike each day, but when I skip days the BGs start going up again. Perhaps Apple are taking it forward - if anybody can do it they will. Thanks Ian. I had an email conversation with the writer of the Tech Review piece a while back, but hadn't actually spotted it had been published! There seem to be all sorts of new kids on the block promised in teh CGM marketplace - I was reading yesterday about Abbott's 'Flash' which looks like it might shake things up a bit. Thanks Stacey! Hope you are keeping well. #dblogcheck doesn't get much attention over here, but it looks like you all had a great time with it!